nearby ducks that were swimming seemed to react very oddly as well: they were simultaneously putting their heads underwater to escape the radiation while others flew away, landing on the street or in the canal. 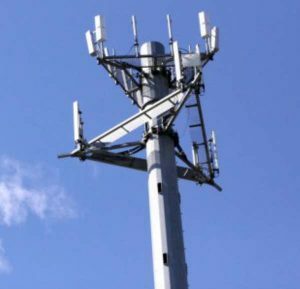 Again, almost at the exact same time that those animals died near the station, Holland Spoor was tested with a 5G transmitter mast. We took the birds. 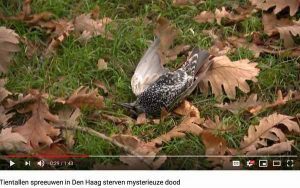 Last time, five of the deceased starlings were examined by a local specialist. It did not show signs of poison, but only internal bleeding in two cases. 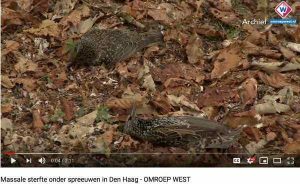 The newly found starlings are being examined by the specialized Wageningen Bioveterinary Research laboratory in Lelystad and the Dutch Wildlife Health Center in Utrecht. The municipality has promulgated a ban on dogs in the area because the cause of the mortality is unclear. Poisoning is being taken into account. The area has been blocked by the police. Suicide: Are People Killing Themselves Because We’ve Killed Christianity?